With Halloween on the way this month, it’s likely your kids are planning their haunted house and Trick or Treating trips already. For migraineurs, however, this fun, festive activity can be a traumatic event filled with triggers. 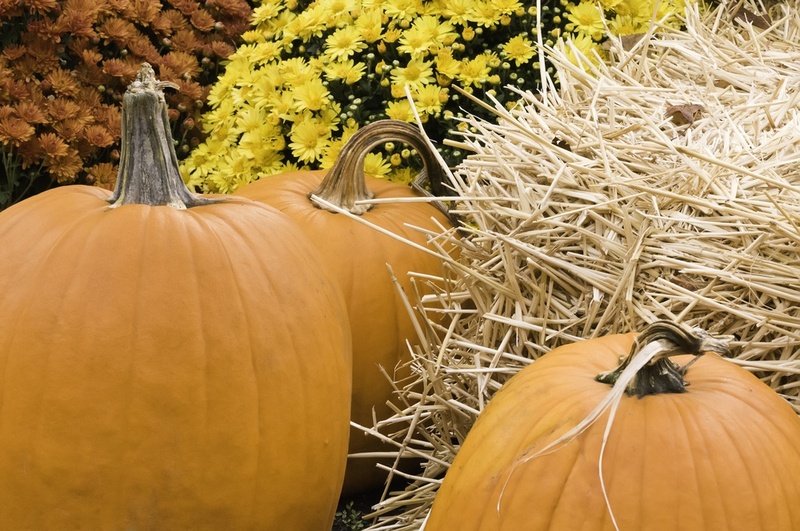 Fall already carries migraine risks of its own, and Halloween adds another layer of potential problems for patients. With careful advance planning, however, you can enjoy it and possibly even avoid a migraine attack. Menacing Costumes: Halloween costumes become more exciting every year, but with the complexity comes increased risk. High heels, Dracula capes and full body costumes make it difficult to walk and move easily, and heighten the chances of missing a step or taking a fall. Even if you don’t get hurt, the jarring movement could result in a migraine attack. Hot, stuffy masks mean you’re less able to see properly, and in the case of full face coverings you’re breathing stale breath in a close environment. Risky Environments: Creating a creepy environment is a top priority for Halloween, but it’s less ideal for migraine sufferers. Artificial smoke contains chemicals made with water and glycol that can cause visual distortion—not to mention the risk of falling when you can’t see where you’re going. Muted, colored or flashing lights used to create tunnels of horror can also be problematic. Candy that causes your blood sugar to spike and release insulin. This is followed by a dip in blood glucose levels, which is a common migraine trigger. Alcohol at Halloween parties, or at stops on the Trick or Treat tour. Snacking on foods containing tyramine, such as nuts, chocolate, some cheeses, guacamole, sausages and aged or smoked meats, soy sauce on sushi or miso soup. What are you left with that’s safe to do, eat or drink? Quite a bit, actually—it just takes knowing your particular triggers and planning ahead. Watching the weather: Do this for several days before your Halloween event. With today’s various weather apps it’s possible to find out well in advance when you can expect changes in barometric pressure that could affect you, and you'll be able to gauge whether the date of the event will be a good time for you or not. Choose your costume carefully: Look for something that will be comfortable for you to wear, and will minimize your chances of falling, overheating, having difficulty seeing, or problems breathing fresh air. Eat well beforehand: If you aren’t hungry, you’re less likely to be tempted to taste the goodies on offer. Whether it’s an office Halloween party at a restaurant or a visit to your neighbor’s home, eating a meal before you go will enable you to nibble minimally without giving in. Crunchy almond bars – almonds are high in magnesium, and will help stop you getting hungry en route. Cinnamon sticks, which soothe tension and help your body avoid developing inflammation. Peppermint candies, known to help soothe headache pain. Avoid types with high sugar content that can cause your blood glucose to go crazy. Dried fruits, such as cherries, cranberries and prunes, which are all listed as “pain-safe” foods by the Physicians’ Committee for Responsible Medicine. Candied ginger, which is popular in various forms for pain management and boosting the immune system. Sugarless gum, which offers multiple benefits including relief of stress, jaw tension and dry mouth—all while keeping your breath fresh without spiking that precious blood glucose. BYOB: We all have that one friend who absolutely insists you have a drink when you drop in. Bring your own booze, or even better non-alcoholic drinks that you know are safe for you to consume. Pour it into a trendy hipflask if you like, so nobody needs to know you are abstaining. Finally, make sure you’re well rested before you head out, and tell your family and friends how long you plan to stay. Stick to the timetable, and get home in good time to avoid fatigue that can cause stress or bring on a headache. Happy Halloween!